European Union (EU) president Donald Tusk called for calm on Tuesday after Turkey, a candidate for membership of the bloc, shot down a Russian war plane on the Syrian border. "In this dangerous moment after downing of Russian jet, all should remain cool headed and calm," tweeted Tusk, the former Polish prime minister. Tusk is due to host a difficult EU summit with Turkey in Brussels on Sunday which was supposed to focus on a deal to stem Europe's migrant crisis. 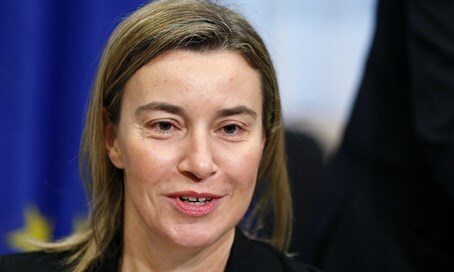 EU foreign policy chief Federica Mogherini meanwhile said she had spoken to Jens Stoltenberg, the head of the NATO military alliance of which Turkey is a member. "Need to avoid escalation #Turkey #Russia," the former Italian foreign minister tweeted. The European Commission, the executive arm of the 28-nation EU, said it was "following developments closely" and "trying to find out exactly what happened." NATO member Turkey said earlier it had shot down a Russian SU-24 jet for violating Turkish airspace. Russian President Vladimir Putin accused Turkey of a "stab in the back" and warned of "serious consequences." The shooting down comes at an awkward time as French President Francois Hollande tries to include Russia in a coalition to take on the Islamic State (ISIS) group in Syria and Iraq in the wake of the deadly Paris attacks of November 13. Turkey first sought EU membership in 1987 but its bid has made poor progress, with issues such as fundamental freedoms and the future of Cyprus proving to be major obstacles. The EU is meanwhile due to decide in December whether to maintain sanctions on Moscow over its involvement in the conflict in Ukraine, where it occupied Crimea.